Over the past three years, Microsoft has added hundreds of new features to Windows 10 through feature updates. Most PC users are not aware of some of the best features that were introduced with feature updates. 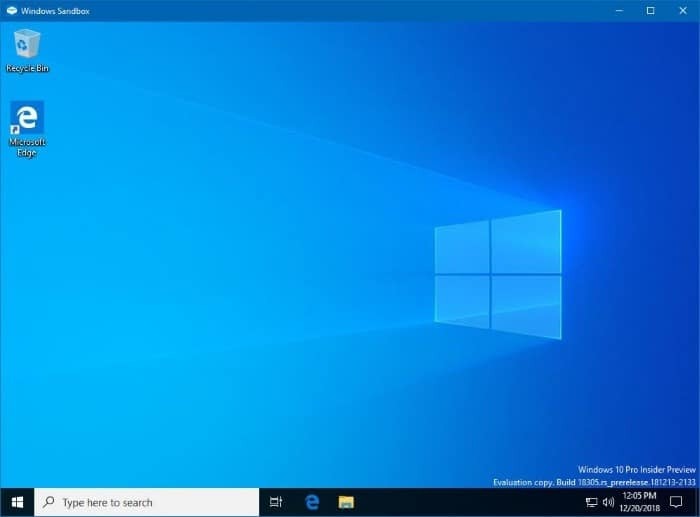 In this article, we will discuss about the ten lesser or little-known features of Windows 10. In no particular order, following are the ten lesser-known features present in Windows 10. By turning on the Dynamic Lock feature, you can make your Windows 10 PC automatically lock itself when you walk away from your PC. For those of you wondering how it works, Windows 10 PC automatically gets locked when the phone that you have paired with it goes out the PC’s Bluetooth range. 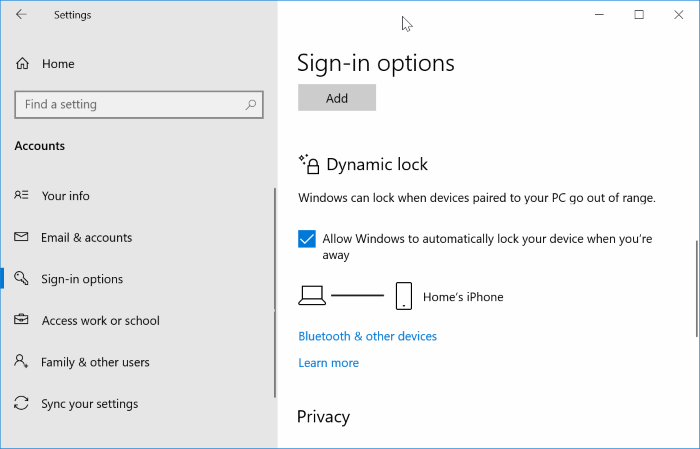 You can refer to our how to set up the Dynamic Lock feature in Windows 10 guide for step-by-step directions. 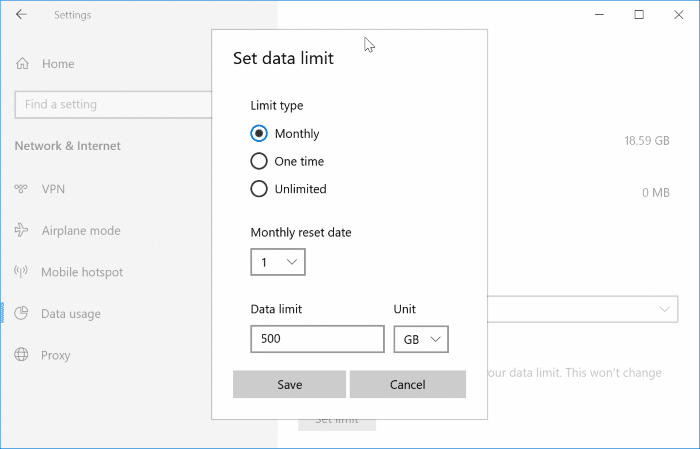 Windows 10 allows you not only view the data consumed by you over the past 30 days but also allows you to set a data limit for a network so that you can avoid paying hefty bills. Please refer to our how to set network data limit in Windows 10 guide for directions. All displays out there emit blue light, which can keep you awake for a long time at night. Besides that, the default blue light is not easy on your eyes. 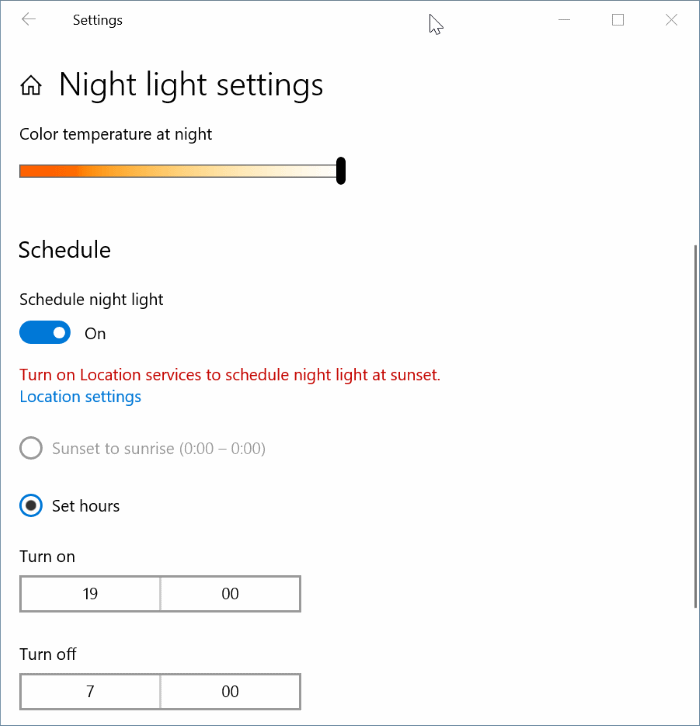 The Night light feature in Windows 10 can display warmer color. It also offers an option to automatically change the display to warmer colors at sunset or scheduled time. 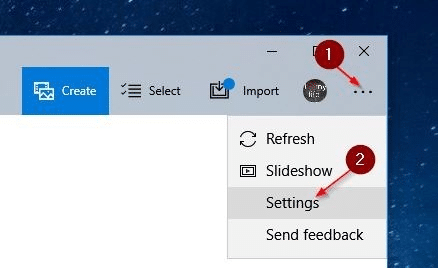 We have explained about the feature in our how to turn on and use the Night light feature in Windows 10 guide. Navigate to Settings app > System > Display to turn on Night light. Available in version 1903 and later versions, Windows Sandbox is an isolated environment to run and test programs without affecting your host Windows 10 operating system and files. The feature is perfect to run a program that you don’t trust but need to run. Refer to our how to use the Windows Sandbox feature guide to know all about the feature in detail. 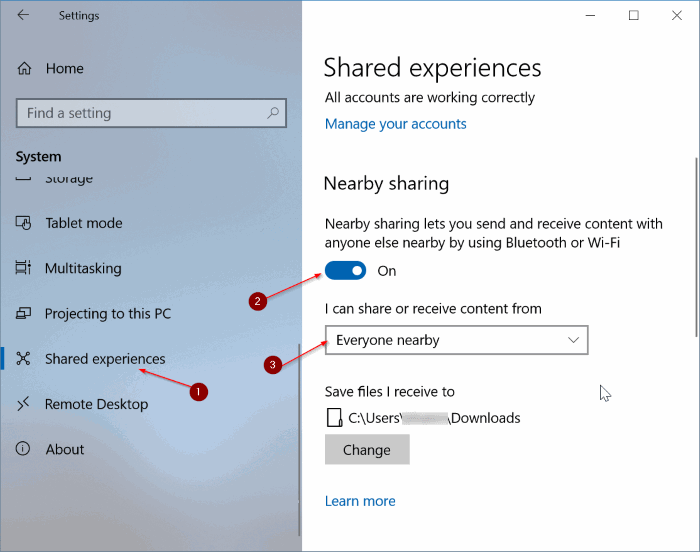 Nearby Share is one of the best features of Windows 10. With Nearby Share, you can quickly transfer documents and pictures with nearby PCs over Wi-Fi or Bluetooth. Your Phone is a recently introduced app for Windows 10 to let you access text messages and photos on your Android device (Android 7.0 or later) right from your PC. Besides that, it also enables you to view and send text messages right from your Windows 10 PC. These features are currently exclusive to Android devices only. Did you know that you can control your Windows 10 PC by just moving your eyes? Yes, you can now control your PC without using mouse, keyboard or touch. The new Eye Tracking technology in Windows 10 requires a compatible eye tracking device. The Photos app (in 1903 and later) in Windows 10 enables you to import photos from your Android and iOS devices over Wi-Fi. For that, you just need to install the official Photos Companion app on your smartphone. Refer to our how to wirelessly transfer photos from iPhone to Windows 10 PC for directions. NOTE: This feature has been part of Windows 10 ever since it was launched, but we feel that it’s one of the lesser known but very useful features of Windows 10. You don’t need to install and pay for an expensive program to track your lost Windows 10 device. There is a built-in feature called Find my device in Windows 10 which enables you to always track your Windows 10 device. 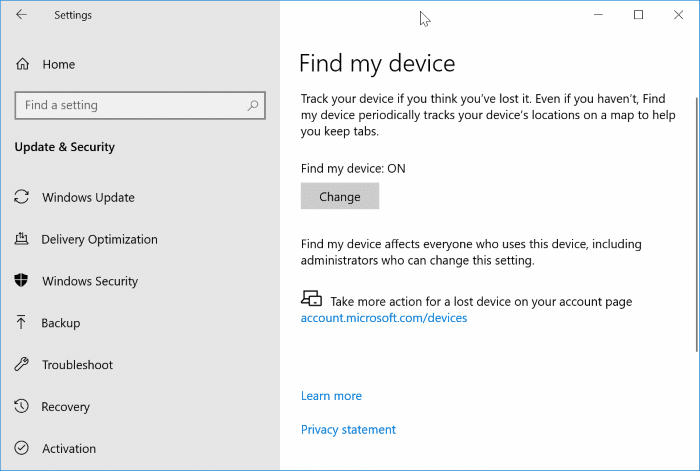 If you own a Windows 10 laptop or tablet, you should turn on the Find my device feature right away. Please refer to our how to use the Find my device feature in Windows 10 guide for step-by-step instructions. By now, you probably know that only select programs like Office Word offer spell check and auto-correct features. For instance, these features are not present in the Notepad program by default. By enabling spell check and auto-correct in Windows 10 for the hardware/physical keyboard, you can enable spelling check and auto correct for all programs. This is a great feature which is not turned on by default. Refer to our how to enable spelling check for all programs in Windows 10 guide to learn the same.